We always have affordable shares available - take a look at our current partnership and syndicate horses. Ollie is well known for buying relatively cheap horses as yearlings, and over-delivering with them on a regular basis. Horses such as Roaring Rory (bought for £4,000 and winner of four races), Dyna Might (winner of 2 races and costing £3,000) or Placebo Effect (£6,000 and winner of three races as a 2YO). With ownership being unaffordable for most people, Ollie has several different ways of allowing people on budget to enjoy ownership. Syndicates, Clubs and partnerships are the way for small groups of people to enjoy racehorse ownership, and so many of Ollie's horses are available in shares. Some of our horses may be owned by small groups of 2-5 people, others may have 20-30 people involved. Ollie regularly has shares of 10% and above available in horses in the yard. These can range from yearlings through to veteran handicappers. These horses tend to be in partnerships where you will be one of 3-6 people involved in the racehorse. You will pay for your share of the up-front purchase of the racehorse share, and then either a fixed monthly fee, or be on a variable rate which is invoiced at every month end. Some of these ownerships will require you to be registered with the BHA - but we can help you with this if you're not already registered. For a few hundred pounds by one-off electronic payment, you can get a good taste of what its like to be an owner. There are three racehorses in the club, so there is always something going on! 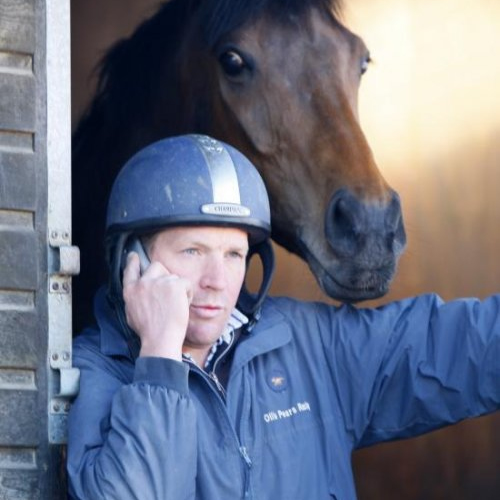 All our club members get access to the stables and access to Ollie, and we work hard to provide regular information updates to all our Owners. That's why we make use of the SyndicateManager.com system - which keeps all our Owners up to date with what's happening with their racehorses. The system is online, and allows us to post news, photos, videos and even manage our members' owners badges for the races. If you are interested in joining our racing club, a partnership, or even buying a horse outright, we would love to hear from you.